Many of you have asked “What can I do?” There are many calls to action and many ways to engage. NOW IS THE TIME TO FIGHT! The list below includes only a few examples. The posts start with time sensitive material. Some of the dates have passed, but I have kept them on as documentation. The bottom has more general ways you can take action. This post is continually being updated, so please check back frequently. If you have information that belongs on this post, please email me at [email protected]. Thursday, June 21st – Faith mission to the Ursula processing center in TX, led by the Leadership Conference on Civil and Human Rights. Please email Jordyn Bussey at [email protected] to join the delegation of rabbis, ministers, bishops, and other faith leaders who will be ministering to children and holding a vigil outside of Ursula. Saturday, June 23rd – Families Belong Together March in San Diego, CA, led by San Diego Indivisible. See additional details on Facebook. Sunday, June 24th – Action in Tornillo, TX, led by Voto Latino. Visit www.stopseparation.org to sign up and learn more. Thursday, June 28th – Mass mobilization at the Brownsville Federal Court in TX, led by the ACLU. 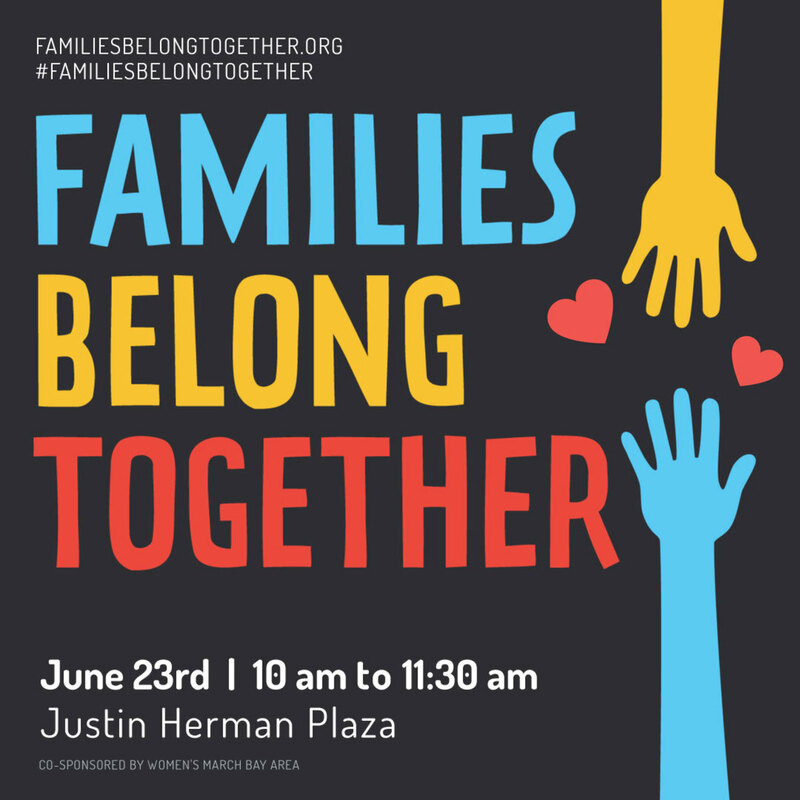 Join the #FamiliesBelongTogether rally in Linear Park at 11 a.m. RSVP here or on Facebook and contact Natalie Montelongo at [email protected] with questions. Date TBD (Possibly July 1st) – Moms march from El Paso to Tornillo, TX, led by Paola Mendoza. Email [email protected] for more details and to join. June 25th-: PARENTS EVERYWHERE CARE: This is a group of parents, activists and organizations from San Francisco who are going to Texas. Please share this post far and wide and check our postings for further updates. Please contact Julie Chronister at [email protected]u for more information or to help organize. If you would like to donate to help us take action, effect change, and support those on the ground in Lower Rio Grande Valley, TX please consider a donation @ https://paypal.me/pools/c/85juWteIIH. Funds are being directed towards ground level efforts and organization directly helping children and their families. Tuesday, June 26th – 7am – 7pm — Day of Action at West County Detention Center— 5555 Giant Hwy Richmond, California 94806. Action begins at 7:00AM. Vigil until 7:00PM. Press conference/rally at 12NOON with members of the Richmond City Council and representatives of local organizations. All organizations endorsing the action are invited to participate. Individuals drIving to the action are encouraged to stop by the Richmond BART Station (east side) to help shuttle. Van shuttle begins at approximately 8:30AM and will continue throughout the day, twice an hour. Bring sunscreen, water, snacks and signs. We are absolutely committed to non-violence. Thursday, June 28, 6pm, Join Refuse Fascism at Indivisible’s Vigil and protest. San Pablo and Central, El Cerrito. The theme of this protest will be to oppose turning the former Concord Naval Weapons Station into a concentration camp for immigrants. Thursday, June 28, 7pm – Showing of the film The Trump/Pence Regime Must Go! In the Name of Humanity We REFUSE to Accept a Fascist America! A Better World Is Possible!, a talk by Bob Avakian. Revolution Books, 2444 Durant Ave., Berkeley, CA. Friday, June 29 – Lawyer Moms of America Action! Lawyer moms around the country are gathering at senators’ offices to deliver an open letter stating their opposition to the current federal policy of separating migrant children from their parents. RSVP and view more details on Facebook. Saturday, June 30th – Join and support a mass mobilization on June 30th in Washington, DC and across the country. Join a march on Washington and Families Belong Together rally led by MoveOn and others. Distributed actions will be planned across the country. To partner on the DC event or 6/30 distributed events, please RSVP here for a partners call at 1 p.m. ET on Tuesday, June 19th. RSVP here even if you can’t make it to receive follow up details on how to plug in. Partnership Form: http://moveon.org/partner to cosponsor the event publicly, join working groups (DC logistics, DC press, DC turnout, and coordination of distributed actions), anchor major rallies in other cities, and more. Volunteer with local organizations. Sacred Heart Church, NETA, ProBAR, and the Texas Civil Rights Project are just some of the organizations you can help if you are in TX or willing to travel there. Please refer to the Families Belong Together Guide on How to Help for more details. 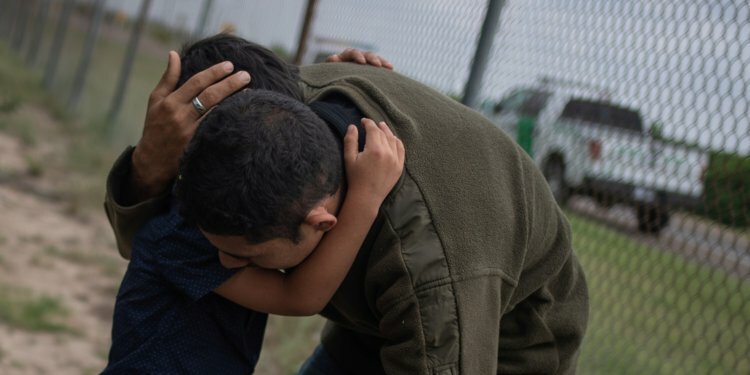 We also encourage you to join the June 30th Moveon.org march for families being separated at the border. Women’s March San Francisco is working in close collaboration with the organizers and are excited to share this event with the community. VOLUNTEER TO KEEP THE RALLY SAFE: Sign up here. MAKE CALLS: Weigh in with Members of Congress! Encourage your network/membership to urge their Members of Congress to use Congress’ oversight authority to stop separating families and to VOTE DOWN the two anti-immigrant bills moving through the House this week. The House is expected to vote on two anti-immigrant bills on Thursday, June 21st: one proposed by Rep. Goodlatte and another proposed by Speaker Ryan. Neither bill addresses the administration’s policy of separating families, and neither bill fixes the administration’s decision to end DACA. Sign and circulate a petition to your membership/network. The ACLU, MomsRising, MoveOn, and CREDO have petitions to Sec. Nielsen. Kids in Need of Defense (KIND) and Change.org also have a new petition out to the Department of Homeland Security. The Women’s March has a petition to Ivanka Trump. Define American has a petition to Attorney General Sessions. The National Domestic Workers Alliance has a petition to President Trump. The Women’s Refugee Commission also has a petition that is easy to sign and share. Your Senator needs to hear your voice advocating for immediate action to stop separating families at the border. Rabbi Levi Shemtov, TheShul, 2110 Leroy Pl. NW, Washington DC. 20008. However small or big Ivanka’s influence, as a senior official, she should be admonished or shunned due to the cruelty and hatred shown by the administration. Other orgs can be viewed in Slate’s roundup. Tailored asks and resources for lawyers looking to engage and for organizations needing lawyers/support for legal services: L4GG: If you are a lawyer, please join more than 1,000 lawyers who have signed up to volunteer to do legal work for immigrants separated from their children here. If you are an organization needing volunteer lawyers, please email Traci Feit Love, President and Executive Director at Lawyers for Good Government (L4GG), at [email protected]. We The Action: We The Action is a digital platform that makes it easy for lawyers to find and volunteer for critical, impactful—and often urgent—legal needs posted by We The Action’s nonprofit partners. WTA currently has several projects available for lawyers who want to help parents and children who have been separated at the border. Many of these projects can be done remotely, with any bar license. Lawyer Moms of America Action on Friday, June 29th: Lawyer moms around the country are gathering at senators’ offices to deliver an open letter stating their opposition to the current federal policy of separating migrant children from their parents. RSVP and view more details on Facebook. VOLUNTEER to take a case with Legal Services for Children SF. They have a long list of cases awaiting placement, including children in detention. Please contact Pro Bono Director Ashley Melwani, [email protected]. Thank you for all that you’re doing to keep families together! This document was compiled by me along with your suggestions and the Immigration Hub in collaboration/partnership with the National Domestic Workers Alliance, JCRC, We Belong Together, the ACLU, America’s Voice, MomsRising, MoveOn, and United We Dream. It’s already past time that we stand up and act. Do all that you can to stop Trump and his cruel, authoritarian ways!! !